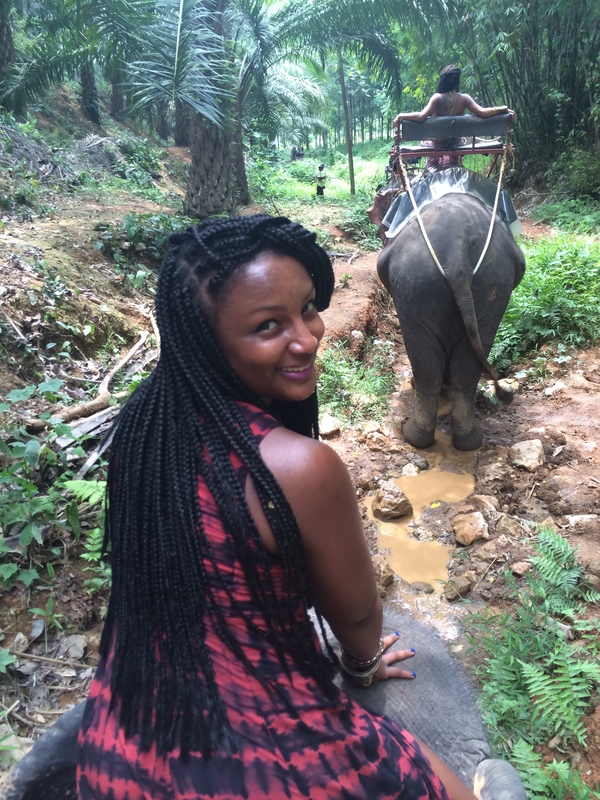 The best part of the day was elephant trekking in the jungle. 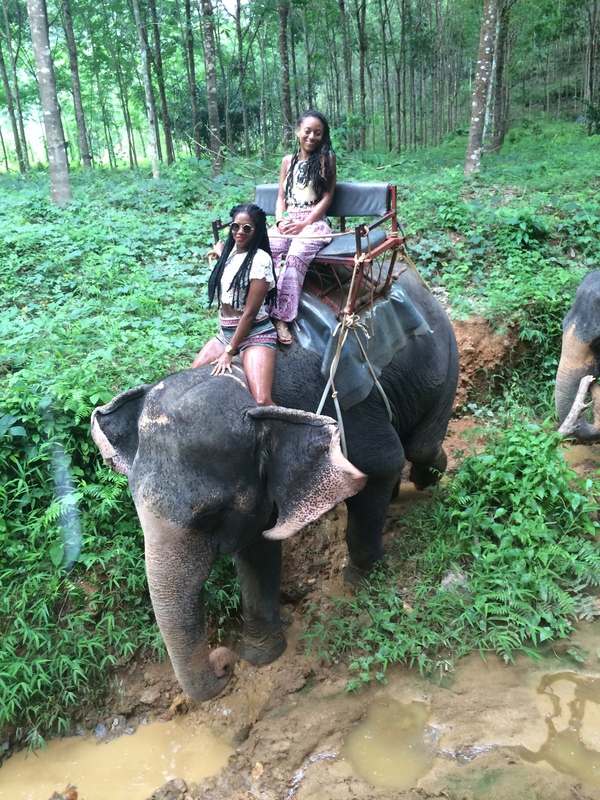 Here we were, six young black middle class girls, riding the backs of Asian elephants in 109390840284 degree weather within the deep wooden jungle of Thailand. The inferno like temperature, that was once unbearable to handle, didn’t mean a thing anymore. 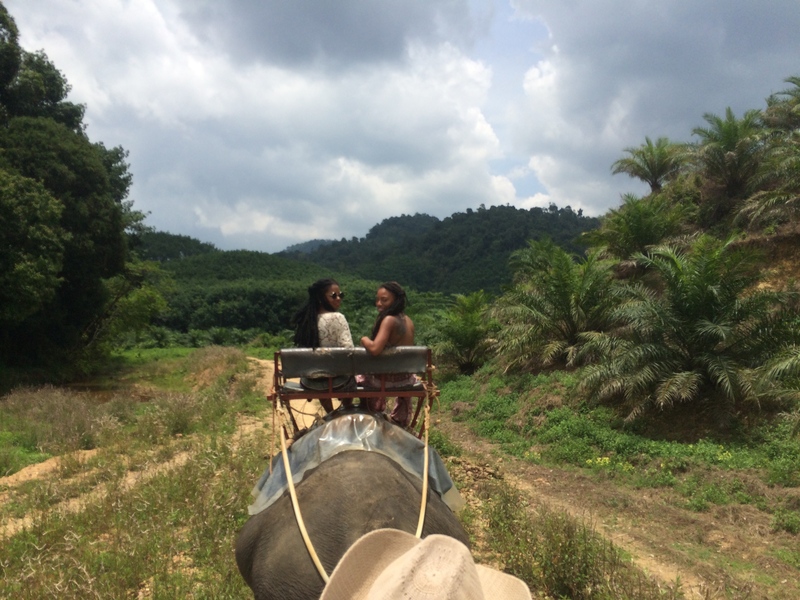 We didn’t care that our faces were melting and halfway on the ground, we were on top of an elephant! “Son! 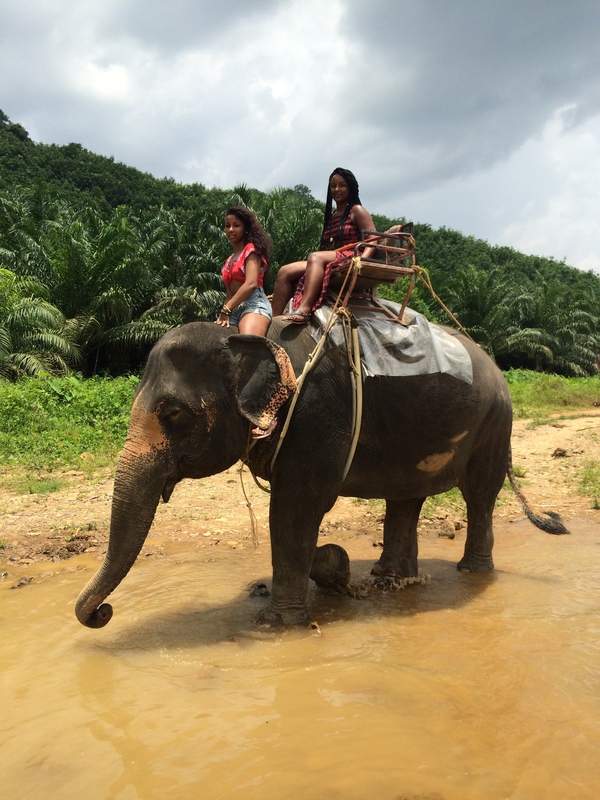 Bishes are in Thailand!” Val shouted. 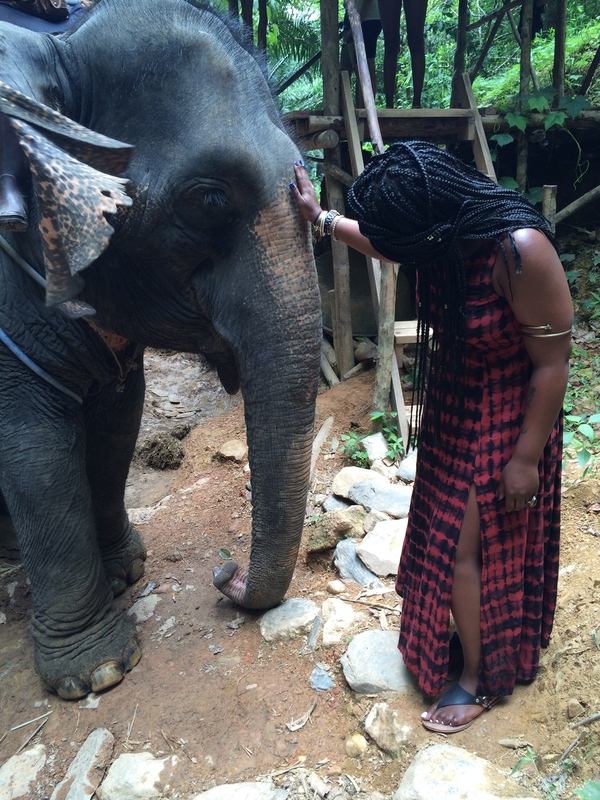 “What should we name her?” Val asked looking down at the elephant. “Hell no. We can’t keep naming our pets cute names we wish to name our kids.” I giggled. We both laughed and thought for a minute. “Gray.” I said softly. “What about Gray?” I said staring at Val waiting for a response. She agreed and that became our elephant’s name. “Excuse me?” The young boy on Gray’s neck said. With very limited English, he gestured to Val to get on Gray’s neck. Without hesitation, Val climbed down, leaving me behind. After about 10 minutes into our ride, we had made a short pit stop in a sheltered area. 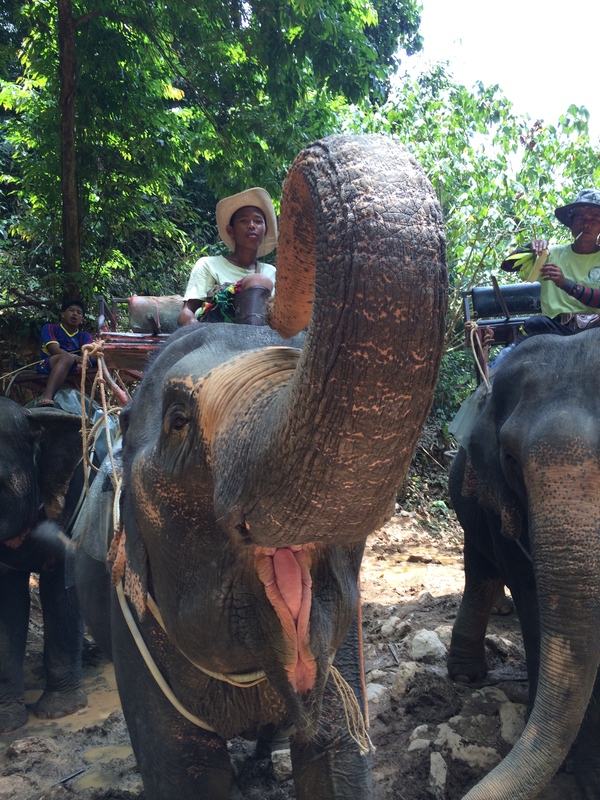 The elephants rested and had a snack and some water before returning back home. 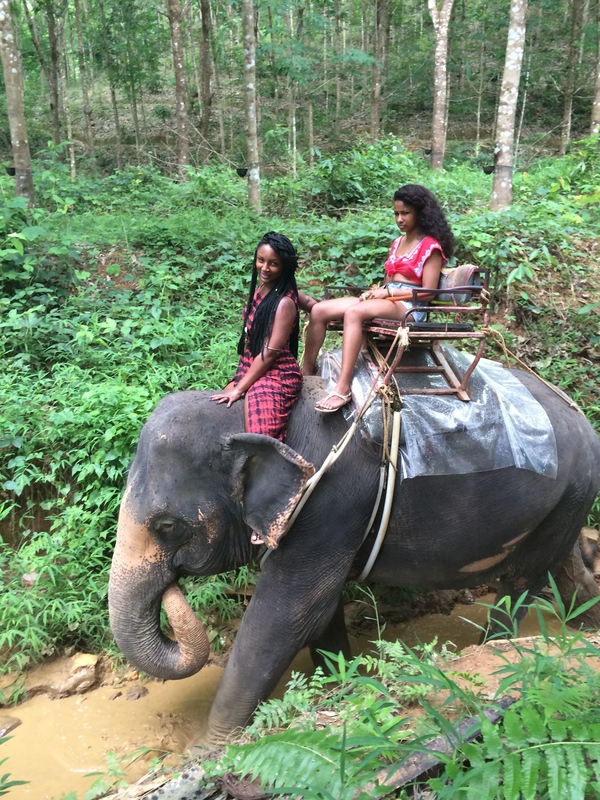 We snapped pictures and bonded with our new elephant friends. “Balu! Up!” He smiled and commanded. And in an instance, Balu became even more beautiful. Her trunk stretched and curled into the air like a statue. Gray, also known as Balu, smiled, revealing her fat tongue. She enjoyed the admirers showering her with attention. 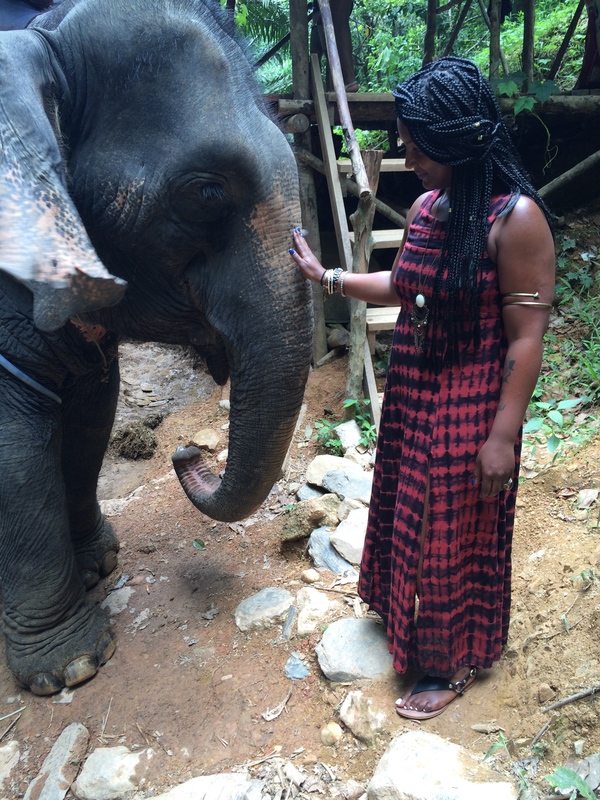 Afterwards, I gently rubbed Balu Gray’s trunk, looked into her eyes and whispered good girl. Soon thereafter, everyone prepared to return back to the field house. This time, I climbed onto Balu Gray’s neck. I was going to ride it back and I was scared to death. Oh my gosh! What if I fall? What if I panic? I wasn’t sure if it was a risk I should be taken. But, I did it anyway. I leaned forward and softly said a prayer. 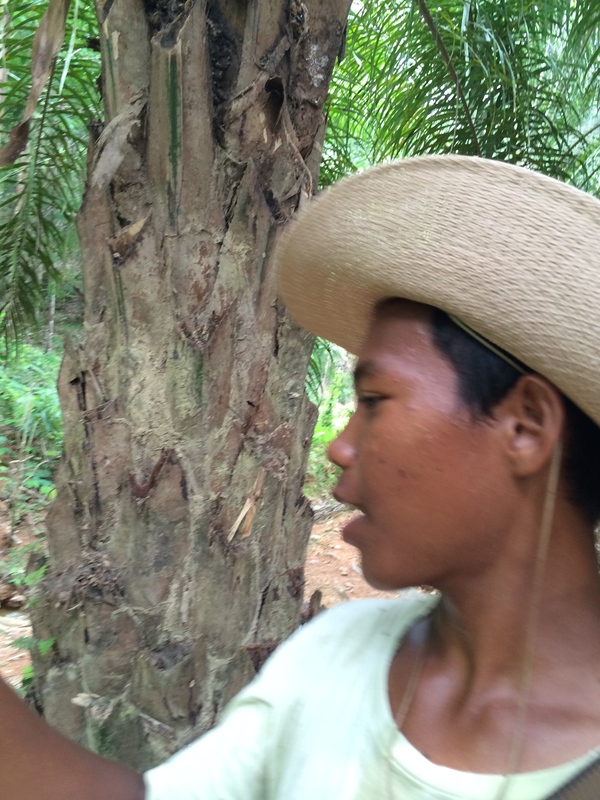 Her ears flapped back and forth, hitting my legs as we trekked through the jungle. I was enjoying it after all and caressed my fingers through the thin strings of hair that rested on Balu Gray’s head. “Good girl, Balu!” I whispered. It wasn’t long before dark clouds begin to form around our heads. Uh oh! Trouble was ahead. Not a second later, warm and thick raindrops burst from the clouds. It was as if we were trapped in a mini monsoon. It constantly poured down cooling our hot bodies. In fact, we were all thankful for the downpour! It didn’t matter that our iPhones were possibly damaged or our hair and clothes were ruined, there was nothing we could do to change our situation. The rain didn’t seem like it was slowing down any time soon and the elephants didn’t seem to be in a hurry, either. 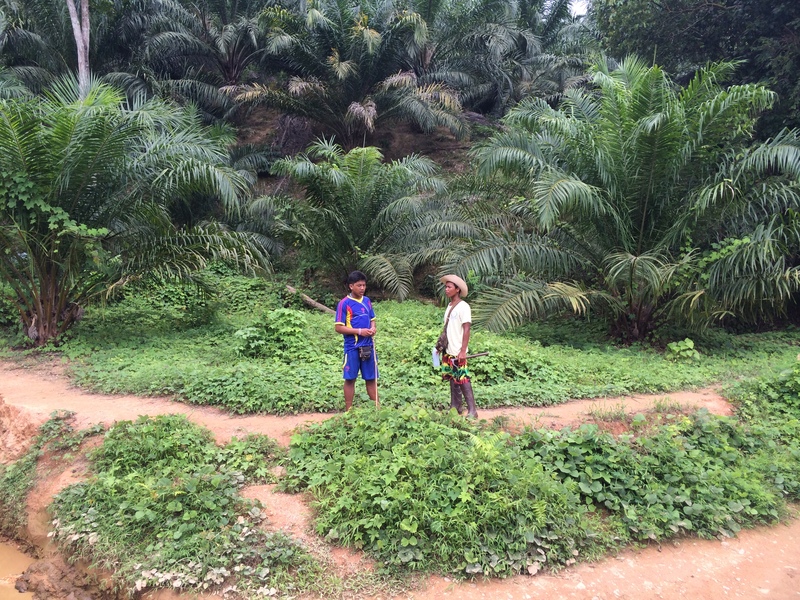 Our tour guides ran across the field to get us banana leaves to serve as an umbrella. We were impressed with their nice gesture, but we didn’t need it. We were already soaked. We loved the rain. So the banana leaf became the perfect accessory. In the end, we realized that we were blessed. Blessed to be able to see the beauty in the unexpected. Blessed to seal our lips of complaints. And most importantly, blessed to gain a lesson from the experience. Love and kisses to the sky!